For a truly spooktacular Halloween, it should come as no surprise that the First State is among the best places to celebrate. Delaware is steeped in history, and is home to some nationally-recognized haunted attractions. There’s so much to do and so little time! But we’re here to help you out. 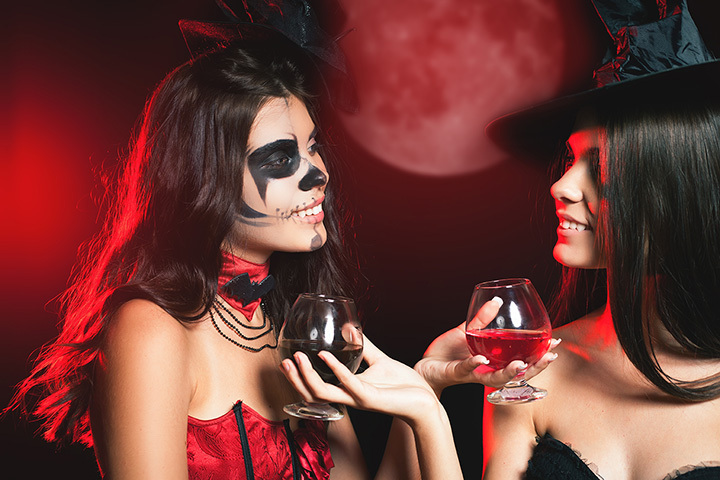 From candy stores, to brewery bashes, to haunted attractions, you simply can’t beat Delaware for the ultimate Halloween. Since 1937, Candy Kitchen has been making soft fudge, salt water taffy, and hand-dipped chocolates in small batches the old-fashioned way. This family owned and operated business prides itself on using only the freshest, quality ingredients. Find truffles, pretzels, gummies, rock candy, divinity fudge, and other old time candies. Also, don’t miss gift chocolates, gift baskets and novelty items. Featuring a Halloween costume contest, live music, and the unveiling of a new brew marks the highlights of this annual event. Soul Cake is a nine percent ABV imperial amber ale that is sure to become a fall favorite as it also contains nutmeg, allspice, and oak that has been soaked in Fireball Cinnamon Whisky. Don’t miss prizes for the best costumes. Check their website for details! Frightland is a haunted attraction that has been inducing screams of terror for many years. Featuring eight attractions, including haunted houses, hayrides, a prison room, and the guided paranormal investigation of a nearby well known location of ghostly activity. Frightland has been featured on the Travel Channel, and a portion of ticket proceeds will be donated to leukemia research. Founded in 1980, Actors Attic features retail and rental costumes. Find stage makeup brands, bow ties, wigs, gloves, feathers, hats, and masks, and don’t miss sound, lighting, and special effects supplies as well. Oh, and did we mention custom-made fangs and embroidery, weapons, canes, clown supplies, and more? Woodburn Mansion, now the Governor’s Residence, was built in the 1790 and has been home to many of Delaware’s wealthy citizens over the years. In 1965, the estate was bought by Delaware, and it was renovated. But all of the updates could not shake off the ghosts the house had collected over the years. They appear in many forms, some full-bodied and some like mist or smoke, and tours are free as the site is open to the public. Rockwood is an English-style estate and an example of rural gothic revival architecture. Now a museum owned by New Castle County, the mansion was built in the 1850s on 72 acres. Over the years Rockwood has become a known supernatural hot spot and was even featured on “Ghost Hunters.” Join your hosts Professor Phil and Dr. Lou for a ghostly tour of the Rockwood halls. Cameras are encouraged. Guests will be escorted by a guide through the rooms and halls of the Clark house where they encounter the demons and ghosts that live there. You are sure to love the “Witches' Den” and the “Hellevator.” Participate in a séance, meet a mad scientist, and beware of the graveyards. Hockessin Haunted House continues to terrorize locals and visitors and all proceeds benefit CompAnimals Pet Rescue. Join the Diamond State Ghost Investigators for a three-hour paranormal investigation. Become a part of a real-life paranormal investigation using data recorders, electronic magnetic field detectors, and other techniques. And if you a hard-core ghost hunter, you may wish to take part in a five-hour investigation of Fort Delaware. Leave no stone unturned, but you may not necessarily like what you find. The goal of this ghoulish operation is to raise money to raise money for the American Cancer Society, the Boys and Girls Club of Western Sussex, Delmar Fire Department, and other local organization. Meet Pin Head, Dr. Death, the Butcher and The Cobber. Watch in wonder as the “Vortex” spins up your nightmare. Haunted House with @emilylampa and @wmdt47news!